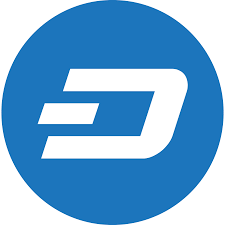 Dash is currently the seventh biggest digital currency in the world in terms of the total market cap, which is valued at about $1.4 bln and has been increasing after getting accepted on the App Store. Apple has officially authorized the digital currency Dash on its App Store as of mid-July 2017, after previously rejecting the currency. According to Dash CEO Ryan Taylor, the decision by Apple to accept the cryptocurrency is a recognition of the growing demand and importance of the currency. He expressed that the decision for Apple must have been a difficult one as they are always on the lookout for user safety and ensure that only reputable projects can access the ecosystem. Taylor has also shared the appeal process which was a painstakingly long one. Believing in the company’s business model, the Dash team decided to lodge an appeal which Apple eventually reconsidered. In 2016, several developers and Blockchain firms have filed applications for Dash-integrated wallets to the App Store. The majority of the applications were rejected by Apple. To date, Apple has authorized around 10 cryptocurrencies that can be used on its App Store. Aside from Dash, these digital currencies include Ethereum, Bitcoin, Steem, Litecoin, Lisk and Ripple. Now that the Dash iOS Wallet is available on the App Store, the Dash team is planning to inject more investments into their iOS app to add additional features and improvements shortly.